For over forty years, Coe has propagated, cultivated, and harvested Bocking #4 Comfrey. Coe's Comfrey is naturally watered, fertilized with organic livestock manure and liquid comfrey compost (LCC), and then dug, processed, and shipped to customers. Organic materials, mostly from Coe's farm, are used. This preserves the integrity of our plants' quality. 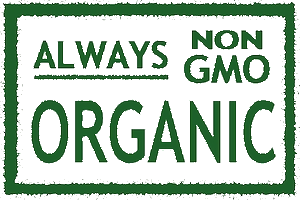 No chemical fertilizers, herbicides, or pesticides are used. Comfrey doesn't need them! The plants are watered with pure mountain spring water and rain. God gives the increase, as thousands of customers can attest to! Currently, Coe digs the comfrey and processes all orders. Each piece, whether root, crown, or one-, two- or 3-to-4-year plant, is carefully inspected and selected for you by Coe. Coe's Comfrey is grown and prepared with hard work, and comes with service that speaks for itself. Here are testimonials to the quality of our comfrey, our bonus content and our overall service. These are from emails by customers who have plenty to say and share about our plants. These testimonials were not solicited in any way by Coe's Comfrey. While we always appreciate a kind word from customers, we do not infringe on their peace of mind to get it. My name is Tim Bartin. I work at Baker Creek Heirloom Seed Co. I hope your business is doing well. I work in the seed store during the busy season and help inform the customers of how to successfully garden and other homesteading techniques. I have referred many people to your business. A friend gave me some roots starts from the comfrey they purchased from you. I have grown them in wood chips to use for fertilizer. I make a tea in the mesophilic stage of fermentation. This has produced amazing results in my gardens. I thought you would like to hear of success stories. Many more should be buying your comfrey and having wonderful benefits all around the homestead if they follow the information I pass on to them. I have been so pleased to use comfrey. I will be expanding my stock in the future. Last year I made 850 gallons of comfrey tea. I was sent an article from Mother Earth News on alfalfa tea in the mesophilic stage of microbial activity. I substituted your comfrey and Bocking 14. It works amazingly. I will need to make much more as the seasons pass and my pursuits grow. Literally! Representative, Baker Creek Heirloom Seed Co.
We're so thankful to have someone so passionate about comfrey. Keep up the great work and thank you. Please tell Coe thank you so much for the beautiful plants and the potato-onion starts too. I loved all the instructions he included, and we are looking forward to watching the DVDs. We got all the plants into their prepared holes today even though it was in the 30s here! We are looking forward to seeing things sprout up in spring. I will spread the word about your plants and great customer service! Your package made it here yesterday and everything arrived OK. Thank you for including the extras... CDs, extra plants, and all of the instructions/documents. I'm going to try a couple of things with them. We've got a regular greenhouse (that I mentioned before), and a small greenhouse with an aquaponics system that I've had luck with for the past couple of years, and I'm going to put some others into smart pots in my garage... a bit warmer than the big greenhouse and easier to transplant this spring. I'll let you know how they work out if you're interested. We (Green Owl Farmacy) have been working on a web site that should be online in the next couple of weeks. I'll have pictures of everything on there too. Thank you again for your wonderful comfrey. I had potted up some comfrey but the chickens were let loose when my hubs left their gate open as he nursed a fire in there. You know chickens adore comfrey right down to the roots!?? I'll be needing a goodly supply. I also want to produce ginseng and elderberry. Will be wanting to get them in asap! I don't need any roots at this time because the last ones I got from you took off wonderfully and I love them. But, I will post your link on my FB page Rae the Farmer to see if I can help you out in return for you sending the best comfrey out there! Shipment received. We will be putting this in the ground by the weekend. The other shipment went very well, we already have sprouts! Thanks so much for all your help Coe, I may call you down the road a year or so when we are ready to start drying this stuff out for winter feeding. Be well and have a good winter gentlemen. I have all the Comfrey planted, it's all coming up great. 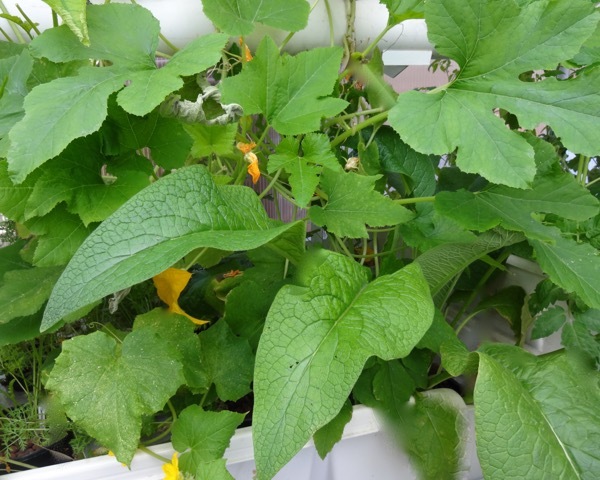 It was planted in plastic mulch sheeting that I had burned holes in for the planting. As you know the first half got in about two months ago. That stuff is coming up pretty good and is now 3 to 6 inches tall. The other half of the order got in a few weeks ago, it's been a little slow to start but we are seen about an 80% sprout rate – many of them are 2 inches already! I think we will be fine going into the wintertime, although this stuff is planted down in a valley pasture area where it's a little bit cooler, it seems to be taking the weather pretty well and it's had plenty of water so it's been growing real good. I thank you very much for your follow-up. You've done a great job here and I think will be fine going into the new year… of course we are not cutting any of it now, we will just leave it all to wilt, and then look for a hearty spring growth. Have a good holiday season Coe, and thank you for all your help and advice. I got my second box of comfrey with your added very generous bonuses and the CDs. I sure appreciate your speedy, very generous service. I think that you and your crew are amazing. As a lifetime gardener over 60 years, it's been a pleasure dealing with you. I am so proud to tell anyone to go to Coes for all the comfrey goings-on. I received my shipment on Monday morning. Everything was in great shape, and the root cuttings were much larger than the ones I have seen on youtube videos. I was able to get everything planted by Tuesday afternoon. Thank you so much for such a healthy product and service you provide. I planted my comfrey I ordered from you. It is growing more everyday to the point that I have already harvested a few leaves from each plant. The past 7 years my sister has had a terrible problem with her left shoulder. I made comfrey salve and had her apply to her shoulder once a day. She is so thankful her shoulder has improved mobility and reduced pain. God has given us plants to help, to heal, to use for a blessed life. Thank you for all you do! Thank you! The wonderful advantage of living in the 'middle of nowhere' in ND is that the mailman will put my precious packages of living things in my porch. He even put baby chicks into their ready-to-go brooder in exchange for eggs once when I couldn't go to the post office in the morning when they arrived. People here are like family. You guys have been the same to deal with- it is so refreshing. Thanks again. Hello Bill! I just wanted to send you and Coe a couple of photos of happy comfrey in my garden. Every single root that you sent grew, and is absolutely flourishing in the garden. Thank you so much for a quality product. I will order again soon!!! Thanks for the second half of my order. Just to let you know, all the first half of the order have come up just fine. I planted in 6 inch pots and already moved a lot of them outside. Some of the cuttings got frozen for a few days, but they all came up just fine. I will order from you again sometime. Bill, you guys did an awesome job on my order. Thanks so much for all the extras! Will definitely buy from you guys again & refer customers to you in the future. I placed an order for crown cuttings. Thanks so much. Your crowns were very viable and took as soon as I planted them. I have an herbal school in Rockport, ME and we use your comfrey for teas, medicinal oils, salves, and for compost tea. I just wanted to say it was a pleasure talking with you the other day and I appreciate your call and all the hard work you put into making your Comfrey top notch. I will be ordering soon and I am sharing your website with all of my gardening groups. Just wanted to let you know the crowns and roots arrived and are already up and growing. Order received and is fantastic!!!!! Thank you for your care of service and wonderful plants!!! I received my order and bonus. :) And, thank you for sending the CDs and DVDs. My plants from Jan. 2016 are growing well. I'm sure these new ones will grow just as well. I bought my 3-4 year old plants from you this spring (3 of them) and they are doing great. I have two in very large pots and the other is in the ground. Love these plants; if I had more room, I would buy more. I just wanted to say that my order showed up today and... wow! It has been a while since I saw a hand written message from a company that I've done business with. That doesn't even take into account all of the extras that were sent. This is how businesses should operate and sadly something that I don't see much of these days. You earned a customer for life and I'll tell anyone interested in comfrey to head your way. Coe's Comfrey is amazing at communicating exactly what is happening with my order and then over-delivering their promises. My order was packaged well and exactly as promised, plus a few unexpected surprises. Will definitely order from them again. Founder, The Artist Market Co. I want to thank you for the lovely roots and bonus roots and the jam packed CDs. (and DVDs). I live beyond radio and TV signals and livestream radio over the computer by solar powered radio signal....it is low powered but in my price range...These CDs are so appreciated. I am listening when ever I am in the car, and haven't come close to hearing all of them yet. They will definitely impact my eating decisions....some of the points made, it goes without saying, are already input into my decisions, but they are good material for sharing... Thank you so much for what you have done. Just a note about your plants. I received my order in great shape. Excellent packaging! They were planted that night after the sun was setting, and all have broken their covering and are reaching for the sun! I thought this south Florida sun would be hard on them, but all of them are thriving. You sell the best plants I have bought by far and I have bought quite a few!! Thank you so much. I am beside myself with your generosity and goodwill. You lead the pack when it comes to customer service and satisfaction. I want to say thank you from the bottom of my heart. I have never been treated this way by any other company that I have purchased from. I did get 2 more pieces of root to come up for a total of 7 out of the 17 you sent me and I was happy to have them. I have babied them so much ,and they are doing fine. I will do my best to get all that you are sending me to come up and be productive. I will harvest and dry the extra comfrey to feed my rabbits this winter. I will now have enough to do that thanks to you. Again thank you, you have made my day. I will be ready to get them as soon as they come in the mail. Just wanted to say thanks for all the dvd's and extras cuttings!! I really appreciate what you're doin down there....Keep up the good work!! I just wanted to thank you for your sweet plants! They are thriving in our garden. I appreciate what you offer. It's a gift to all who purchase it. My husband ordered comfrey from you all and we just got it! Thank you so much for all the DVDs and the funny cartoon. :p We use essential oils so that was right up my alley! Anyway, I just wanted to take the time to say thank you again! I want to sincerely thank you for the excellent comfrey roots you shipped last fall. I ordered fifty, you shipped approximately seventy pieces – and I had 100% successful growth. All have been transplanted to their final growing spot – and they are thriving. All of the comfrey plants are extremely healthy, growing large, green leaves which I am now harvesting regularly. I pray all is well with you. We purchased comfrey around 2010. It has been a blessing for many! I put it in with tree planting, give it to earth worms, poultry drink it eat it some, green manure for garden, sprains, salve bone injuries,… Thank you for making it available, I have passed on your contact info a few times. Your life, like a stone making ripples in a lake, has reached out in ever increasing cracks to touch many other lives. May we do the same with the hope of forgiveness & eternity without suffering! I am writing today in response to receiving my comfrey order in the mail. I would like to thank you for every aspect of this transaction. From the pre order interaction when you more than answered all of my questions to everything extra I received with my order. You are running a fantastic customer service based business and I am very pleased to have supported you. The information packet, extra comfrey, cartoon, dvd's etc all went above and beyond any expectation. I will definitely recommend your business to anyone I come across looking to purchase comfrey (unless of course I end up selling some myself in the distant future). Thank you again for your fantastic customer service and going above and beyond any expectations. Keep up the great work. Thank you very much. I will be working on my pasture in another project and will definitely order again. You all are the best. Just got my order today and WOWZER!! I am soooooo impressed - - I didn't even know about the CDs and then extra cuttings to boot!! The DVD selection is rrrrright up my alley too. Been listening to Jack Spirko since like 2010 I think so that was a pleasant surprise! I got my Comfrey order in and it was in great condition. Got them all in the ground this morning. I wanted to give you a special thank you for the DVD's you sent. We are on the same page. I have seen a couple of them already but look forward to watching the rest. We live in the country, have acreage and water rights. We have a small homestead and are living the dream of moving to self-sufficiency. My chickens like Comfrey. Hey, I just wanted to shoot you an email to say thank you. The root cuttings where planted in gallon pots around feb. 11th and many are already coming up, the large plants were planted on the 16th of feb. in 6 gallon cloth grow bags and they ate getting really big already. This is a strong 4-Year Plant! Thank you for the fantastic looking plants. I could not be any more pleased with their strong appearance. I was delighted to find my four plants carefully wrapped and still very much moist. I will prize & take great care of them. Thanks again. Best wishes! Great Plants Great service! Enjoyed our conversation. The plants have already taken off heading skyward! Thanks again! Have a blessed day. Wanted to send a quick note to thank you for all the CD's. I've watched about 90% of them so far and wow, I've learned a lot. My comfrey roots are in soil and under the heat lamp with my other seed starts. It's been warm here but I don't think its warm enough to plant the roots outside. It was a pleasure talking with you over the phone. Have a great day. Thank you so much for the wonderful EXTRA, super duper bonus!!!! I received the comfrey crowns in perfect conditions and was extremely happy to see that you've added the bonus root cuttings. Thank you! My students and I planted our crowns and root cuttings today in class. We pray for good weather and will be transplanting them into our "holes" in our school garden in the spring. We hope you are in great health and we send our best regards. I can't wait to watch the dvds...thank you so much...and for all the extra plants and roots...you are very generous....I am ordering more later this spring...Thanks again.. I received my order today and was so impressed with the shipment I wanted to write and thanks you. The bonus roots and all of the information included in the order are very much appreciated. I look forward to watching the DVDs. 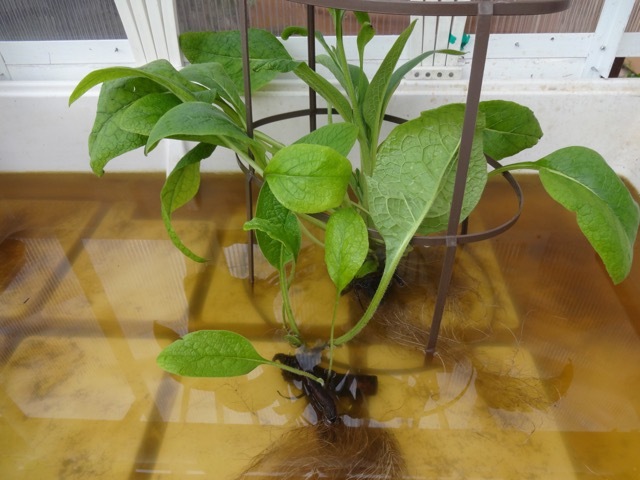 I grow them in our aquaponic system and feed them to the fish - keeps them healthy. Below is a picture of some of your comfrey I grew in Califonia . Sure do appreciate all the 'extras' - haven't had a chance to view the DVDs yet, but pretty sure we're close to being on the same page concerning GMOs, etc. Also appreciated is the excellent packaging. Happily anticipating the first comfrey leaves! I received my comfrey cuttings today, with great pleasure. Am tempted to open the sawdust packs and look, but will keep them closed until Monday when I will have help to plant them ASAP. And thank you very much for the DVDs etc.! I just wanted to say thank you for the comfrey. I received them last week and they are now in the ground..hopefully taking root. Thanks! This is my third order from you in the last couple years and I always appreciate the great quality and service. Thank you! I have the bed ready and am thankful for your company that provides this strain of comfrey. Looking forward to growing this amazing plant. Thanks, Bill, and tell Coe thanks too for the hard-work and follow-through and helpful resources provided with the product! My package came today and everything looks great. I rinsed the sawdust off of my plants/cuttings and I'm headed out to plant it right now before sunset. I have 67 chickens and I want to grow comfrey to feed to them. And also to myself. I enjoyed reading the pamphlets—I plan on putting comfrey in my smoothies now that I know that's a suggested use for it. I'm looking forward to watching the DVD provided too. Thanks for the great service and product. It sounds like comfrey sure is amazing stuff! Looking forward to growing it. Wanted to let you know my plants just peaked through the ground yesterday, waiting for the root cuttings to follow, thanks again for sending such great comfrey. Very excited for opportunity to use as fertilizer! I appreciate your communication. I am sharing my roots with several other folks to try and hopefully to become future customers for you all. Just wanted to let you know I got this order and I'm really happy with the plants and all the extras. Thanks a lot. Keep up the good work! Thank you, The bonus roots were a great surprise, thank you also for the free cd's, those are all topics I share interest in as well. Excited to see them sprout, comfrey is great mixed into salads. Thanks for doing a great job with updates and information. I'll be sure to recommend Coe's Comfrey to my customers. I wanted to let you know that the package arrived safely this evening, right after I got off of work. The package was so tiny I did not believe it could contain all that I ordered, but it turns out that you are a really good packer! Thank you for the extra root cuttings and crown cuttings you included. I am planning to get everything planted as quickly as possible. The DVDs look great. I am watching the one on forest gardening now. Thank you for sharing. I'll definitely be keeping in touch. 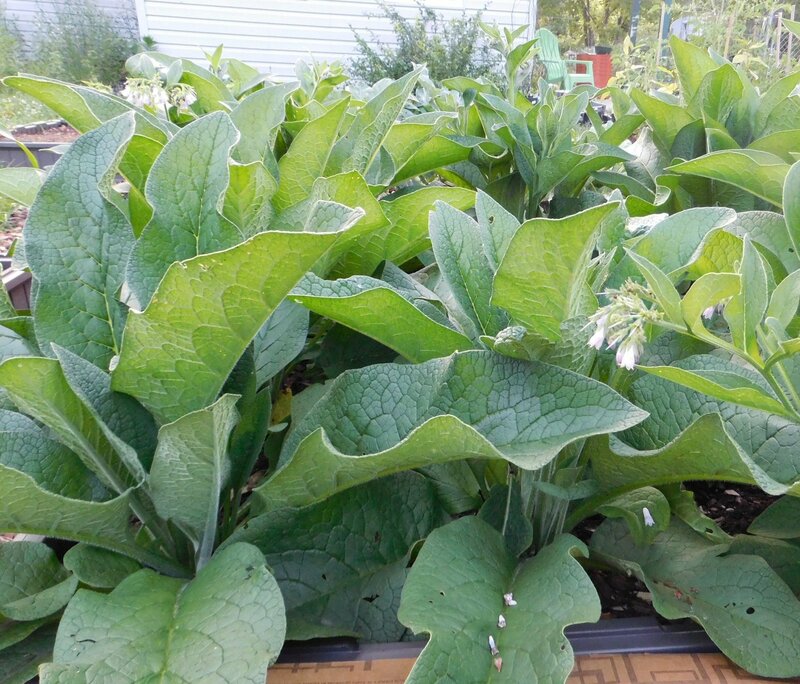 Hi, I thought Coe might enjoy these pictures of the comfrey crowns he sent me a few weeks ago, growing well. I just wanted to thank you for the plants and other extras that came with my recent order. The plants are sound and strong and I have heeled them in for now while I get their pots ready. I also appreciate the extra root cuttings you sent, as well as the DVD's. The whole permaculture/organic scene is right up my alley. I will certainly share with others the great experience I have had ordering from Coe's Comfrey. When I get my waterfowl sanctuary/permaculture farm together, I hope the ducks and roosters take to the comfrey! If they do not, there seem to be plenty of other uses for it. We received our order on May 28. Thank you for the DVDs, we will enjoy them. Please let Coe know I enjoyed speaking with him after I placed the order, and would have gotten back to him but we had major damage in a house we were selling and have been dealing with that. It has been a pleasure doing business with you. Thank you so much for getting my comfrey order out to me so quickly. The cuttings arrived last week, and I got them in the ground right away, ahead of my trip, for which I am super thankful. This is Don from Cattaraugus New York. Wanted you to know. I started the root cuttings in a green house while we were waiting for the weather to break and to finish building our sale structures. Now those are built and our bare root fruit and berry stock is planted. The comfrey which is almost a foot tall now is going in today. Love your stock, very pleased. I have been meaning to get in touch before now. Thank you so much for the Comfrey plants, instructions, and CD's. I followed your instructions in planting the plants. I have bought many plants on-line and none of the other vendors provide the instructions like you did. I can't tell you how helpful that was. I am studying permaculture right now but am certainly a beginner. Also thank you for the CD's. I travel a lot for work so have not seen them all yet but am looking forward to seeing them. Just writing to say how much I appreciated your website. Have been using comfrey for a few years now making herbal salves and using it for compost tea and feed for the animals. Just recently read an article from the 50's about the use of comfrey as feed and growing it fields (larger scale production). Never knew it was used in this way before and thought, what a great idea. Last evening talked to sister diana (bible says ministry) down in tennessee and she mentioned your website. Went today and viewed and am just praising God and thankful for the information you have provided and the quality product you offer. Thank you for preserving this information and product and offering to the public. 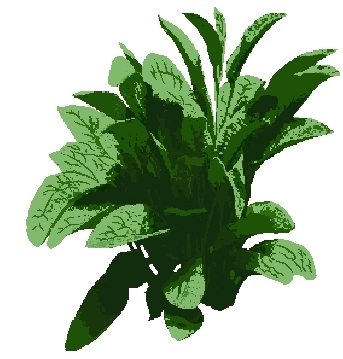 Love your website and really love the comfrey. The V8 comfrey cocktail heals our tendonitis like nothing else. Thanks so much. I tell everyone about your great service and wonderful product.